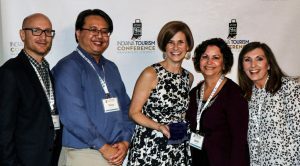 Efforts to lure more people to the Hoosier state and the places that draw in visitors were honored during the recent annual Indiana Tourism Awards. 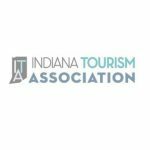 Presented by Indiana Connection, a division of Indiana Electric Cooperatives, and the Indiana Tourism Association, the awards also honor tourism businesses who are creative, innovative and maximize the dollars invested. Best Leisure Marketing Campaign – Hamilton County Tourism Inc.
Indiana Tourism Association Member of the Year – Rob DeCleene, Visit South Bend Mishawaka. The award is for association members who stepped forward and provided exemplary service and leadership to the industry and the association. Distinguished Service Award – Dan O’Connell, Visit Fort Wayne. The award is presented to individuals who have seen the importance of developing, promoting and protecting Indiana’s tourism industry. Tourism is growing in Indiana. According to a recent study, visitor spending in Indiana totaled $12.7 billion in 2017, which was 3.7 percent higher than in 2016. The study also found visitors to Indiana destinations totaled 80 million in 2017, a 1.3 percent increase from 2016.